Andrew Del Riccio holds degrees in performance from the NSW State Conservatorium of Music, University of Sydney, in conducting from the University of British Columbia and education from the University of Western Sydney. He has studied at the Schola Canorum Basiliensis in Switzerland and the Boston Conservatory, conducting master courses in the Czech Republic and in London. While completing a Masters in Opera Conducting in Canada, Andrew conducted many performances, including two seasons of Hansel und Gretel, and seasons of La Finta Giardinera, Turandot 127(world premiere at Summerstock Festival), L’histoire du Soldat, The Medium, numerous premieres of student works, new music reading workshops, and student ensembles for recitals and juries. In Australia, Andrew’s conducting interests have led to the formation of ensembles including the St Peters Chamber Orchestra and The Unexpected Orchestra. He has been Musical Direcor of the Mosman Symphony Orchestra since 1999, conducting world premieres of works by Michiel Irik and Mathew Chilmaid with them. 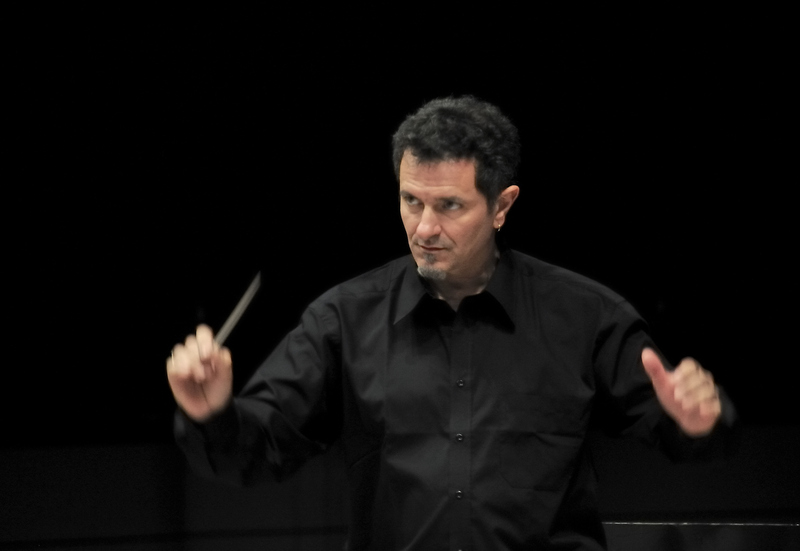 He has also worked with the Lane Cove Youth Symphony, North Sydney, Strathfield and Sydney University Symphony Orchestras and conducted concerts as an assistant conductor with the Willoughby Symphony Orchestra. Recently he attended a summer workshop with the Bohuslav Martinu Philharmonicin Kromeriz in the Czech Republic, conducting Brahms’ 1st Symphony and Mahler’s 5th. He is awaiting developments from the contacts made there. Andrew currently teaches music at Trinity Grammar School and also has a busy private teaching practice. He is also involved in scuba diving, actively researching wrecks of the New South Wales coast as a part of Two Dogs dive team.